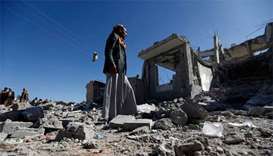 The UN special envoy to Yemen on Monday said the urgency of accessing grain stores trapped in a frontline position in the port city of Hodeidah was increasing as the food was "at risk of rotting". 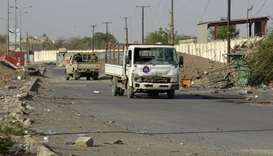 The UN envoy for Yemen said Monday the expected timeline for a truce in the flashpoint city of Hodeidah and a prisoner swap between warring parties had been pushed back. 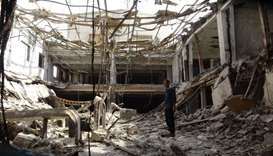 Yemen's warring parties have failed to pull troops from the main port under a month-old truce, putting the first major diplomatic breakthrough of the four-year war in jeopardy and reviving the threat of an all-out assault that could unleash famine. 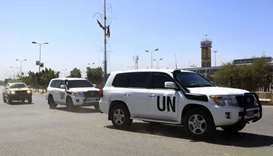 A second round of negotiations between Yemen's government and Houthi rebels could be hosted "soon" in Jordanian capital Amman, a rebel leader said Sunday after meeting the UN envoy. 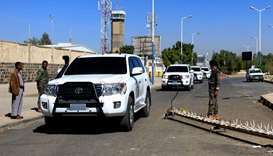 The UN envoy for Yemen arrived in the capital Sanaa on Saturday for talks to shore up a ceasefire in the country's lifeline port city of Hodeidah, an AFP photographer said. 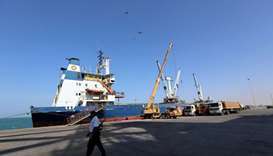 Yemeni rebels have begun to withdraw from the port of Hodeidah, the country's key aid lifeline, under an agreement reached in Sweden earlier this month, a UN official said Saturday. 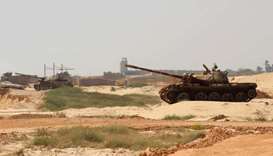 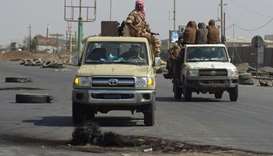 Yemen's flashpoint city of Hodeidah was calm on Tuesday following heavy clashes that erupted after the UN-brokered ceasefire started at midnight, pro-government sources and residents said. 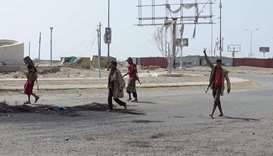 Renewed violence in Yemen's vital port city of Hodeidah has left 10 fighters dead, despite a UN push for peace talks, an official and medical sources told AFP on Saturday.